Explicit TPB - BIC - image Comics - i Hate Fairyland #9-10 - Splat in the Hat! TPB Back Issue Classics Episode 78 is here! 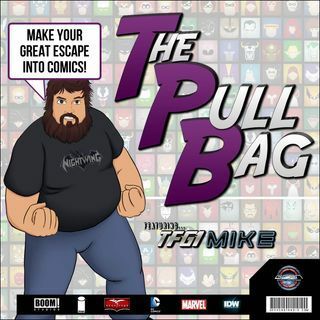 This time Mike and Dan delve back into a new comic series to The Pull Bag. We are talking about Image Comics's i Hate Fairyland #9 and #10! This'll be the final fairyland trip until new issues are released! Listen in to hear what we think of the writing, art, the story so far, and more! All here inside The Pull Bag! Make Your Great Escape Into Comics!